Leo Vegas is certainly going overboard with their Live Casino promotions this Christmas. They love a good prize giveaway and weekly prize draws. Trouble is all the promotions tend to get rolled into one, so can be a bit confusing, well for me anyway. 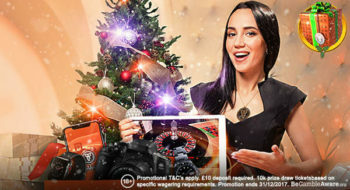 There are four Leo Vegas Christmas Live Casino promotions, all running consecutively. This is a daily prize draw that takes place at the celebrity Blackjack Table at 17:00 each day. One person will win any one of these prizes, Cash, a SLR Camera, iPhone, iPad, iWatch or a Rolex Watch. 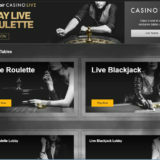 To qualify for the draw all you got to do is wager £10 on any live casino table. The promotions ends on the 24th December. T&C’s apply. For those players that wager the most there’s cash to be won in weekly Leader Boards. 100 players will win a prize. 1st prize is worth £1500 down to 100th which wins you a tenner. The last Leader Board finishes on the 24th December. T&C’s apply. 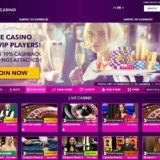 This promotion runs between the 25th December until the 31st December and has some daily leader boards and prize draws. All winners will get Cash prizes. To be honest I’ve struggled to understand exactly how this one works, so my advice is to read the terms of the promotions carefully. T&C’s apply. 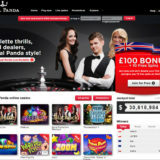 Play through £20 on Netent Christmas Roulette or Common Draw Blackjack and get 50 Free Spins on Secrets of Christmas Slot. Ends on the 3rd January 2018. Also, on every Thursday to Sunday until the 4th January 2018, play through £20 on the North Pole Roulette table and get a £5 bonus. All of the promotions come with Terms and Conditions. You are advised to read them before taking part.